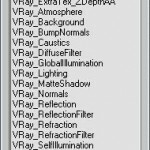 opportunity to save/load irradiance map files from UI of the script. file names are suggested by the script at once (generated using the name of the scene file + the active camera name if it is in the scene). 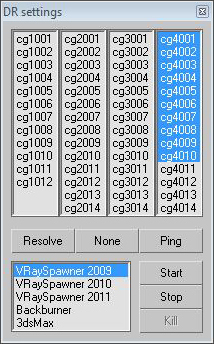 for example: park_camera02_.vrmap. 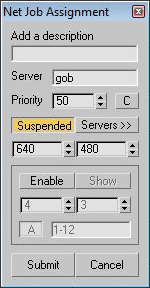 the output section of script provides saving to several formats of files. 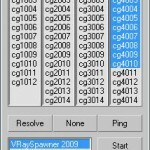 there are three available variants of saving the render including creating multichannel exr or saving each channel separately if there are some channels in render elements. file names of sequences are also offered by default, for example: park_camera02_.exr or park_camera02_channels_.png etc. custom render elements dialog to add/remove default or customized elements such as AO channel (based on vraydirt map), filtered z_depth channel (actual to V-Ray 1.5 SP2 version where default z_depth channel can’t be filtered), custom velocity channel (default channel with some edited parameters) and so on. 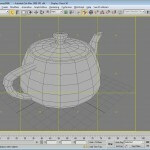 build-in net render dialog allows quick and convenient way to send your scene to backburner. 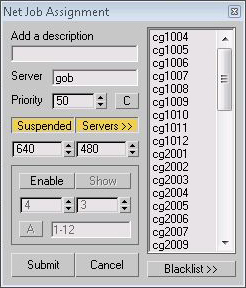 server list items are got from backburner manager. also there is a tile renderer which is useful for rendering large pictures by dividing them into several parts rendered by available servers in backburner in one time, so it speeds up getting the final image. backburner job names are given automatically according to the file name of scene, camera, description and the time of submitting, for example: park_re_camera02_description__20101130-174533 or strip003_1x3_park_re_camera02_description__20101130-174533 in case of dividing the image to tiles. 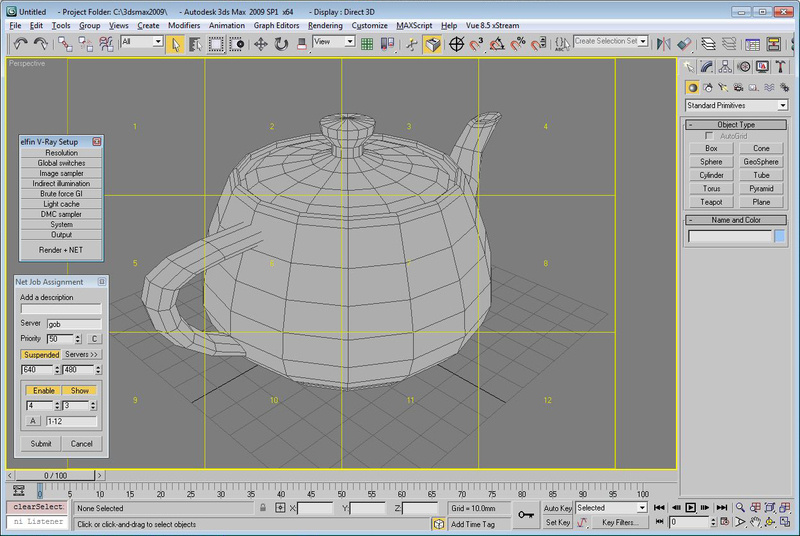 before sending to backburner script assigns objectID to all the geometry objects in scene which are determined by the containing layers. 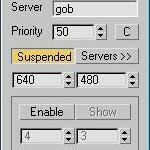 dr settings tool which was developed together with secco helps to assign servers for distributed rendering, start or stop spawner and backburner services etc. no chance of releasing it ?